I've never been a big fan of tv shows. That's because I simply don't have the patience and interest to wait a week for a new episode to come out. But over the past few years, I've managed to accumulate a small list of favorites. Like most girls, I like watching really girly tv shows, so those take up the biggest part of the list. If you haven't seen any of these shows, I'd recommend watching them. They're my favorites for a reason! Not extremely girly like some of the other shows on this list. 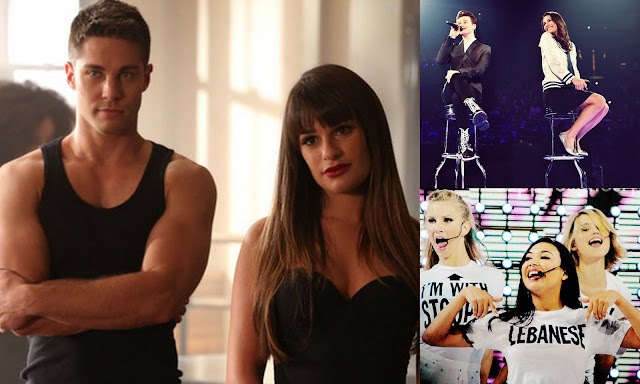 I love the original story lines of the main characters, the ups and many downs, and the unpredictable, super exciting season finales. The mysterious side of it makes it such a good show to watch. I watched all 8 seasons within 2 months last year and I was totally obsessed. This might be my number one favorite show! I don't know many girls who don't like this show. I have all seasons on DVD and I still watch them sometimes because I never get bored of it. Carrie's character annoys me sometimes, but Samantha makes it all better. 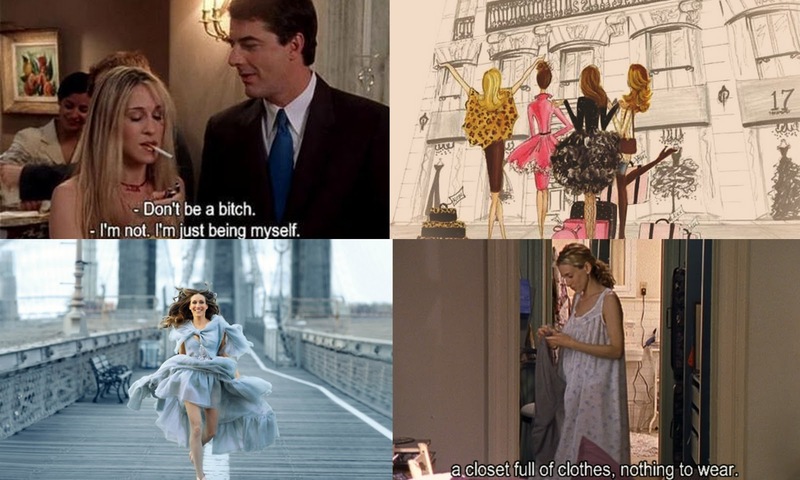 She is so hilarious and that's why I love SATC. A staple in every girl's DVD collection. Before this show aired, I had read all the books and had high expectations. And even though the show is not as good as the books (and completely different), I still loved it. 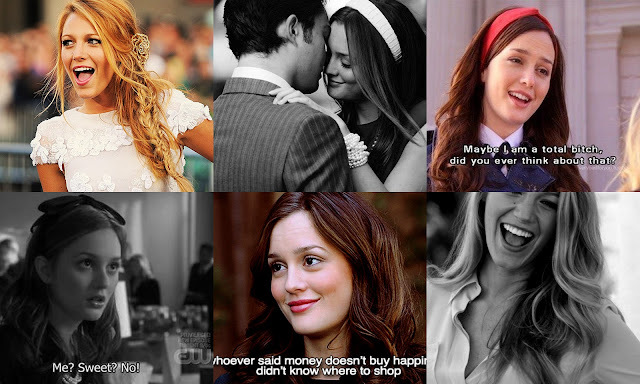 I absolutely love Blair and Serena's outfits and how much effort was put into all the fashion-side of the show. Seasons 5 and 6 were a bit disappointing but I couldn't just stop watching and never know who Gossip girl was, right? Still worth watching! 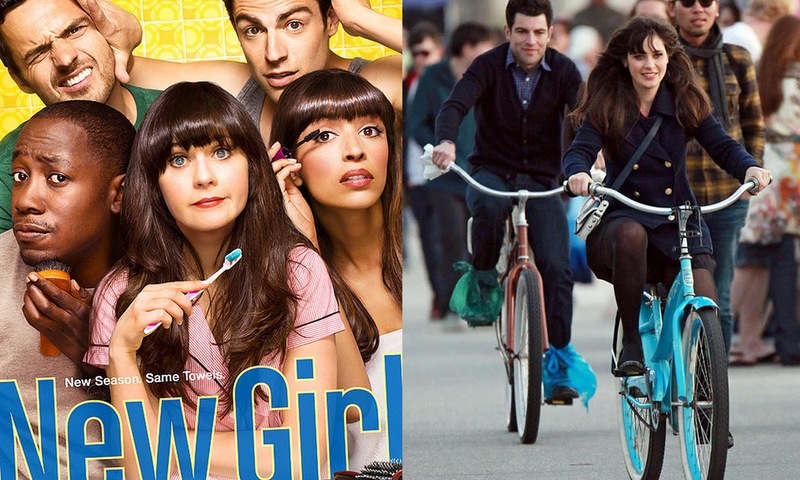 New Girl is not my most favorite show, but it still deserves a place in this list. Zooey Deschanel is such a great actress who makes this show worth watching. I love Schmidt's character: a vain womanizer who's very neat and clean. This show is quirky and fun. I've written about this show before and I still really like it. It's about two broke girls who are trying to set up a cupcake business. It's a type of humor that not everyone will appreciate, but if you do like this humor, it's the most hilarious show ever. 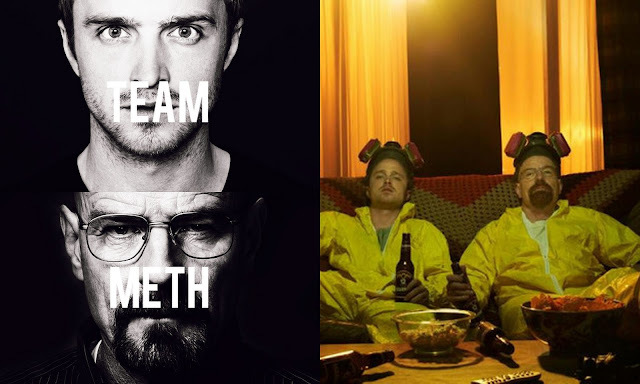 I'd say try it out, watch a few episodes and then decide if you like it. I'm a big fan! Also not my most favorite, but still worth mentioning. I like this show because the high school characters are everything but cliché (a lesbian cheerleader, a jewish girl with two fathers, a boy in a wheelchair), which makes it more interesting to watch than other high school shows. I also like it because some of the songs that are covered sound better than the original; the actors sing so well! I also think Sue Sylvester is absolutely hilarious. Last but not least, my favorite non girly show. This is one of those shows that just keeps getting better by the season. It's about a high school chemistry teacher diagnosed with lung cancer who starts producing meth to make money for his family. You'll be holding your breath during every episode; that's how thrilling it is. It's impossible to stop watching once you've started. My boyfriend and I were obsessed last summer. Can't recommend this enough, you must watch this! There are so many more shows I'd like to watch like Revenge, Lost, Dexter, Pretty Little Liars, Mad Men, Alcatraz, Prison Break, Suits, The Borgias, but I simply haven't had the time to get sucked into another show. Do you know the feeling? What shows would you recommend?